It’s Halloween time again fellow drinkers! This year I went for a smallish cocktail menu for a game night with my friends. I included one classic because, let’s face the facts, the Corpse Reviver #2 is damned delicious. As for the other two, I went with a couple interesting recipes that I found on the web. 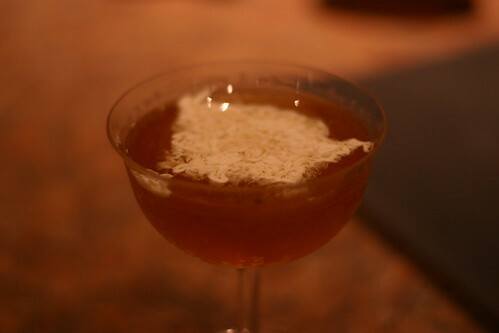 The first, the disturbingly named Fetus in a Glass, comes from fellow cocktail bloggers over at Cocktails, 365. The recipe is fairly standard until you get to the end. 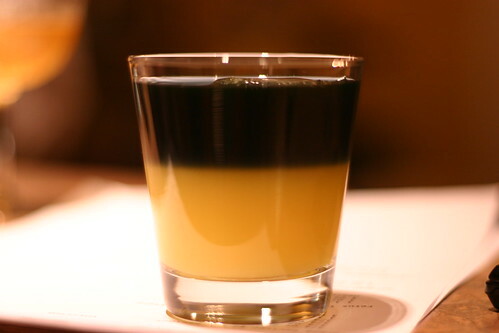 The last step is to drizzle a fine stream of heavy cream into the mixed cocktail. The result is a congealed mass of seriously nasty looking cream floating atop the cocktail. My drizzle doesn’t look nearly as good (or is that bad) as theirs though so definitely go check out their pics. The cocktail itself, however, is really tasty. The flavor is sweet, as you’ve probably guessed from the Barenjager and hazelnut liqueur, but not overly so. The cream smooths things out really nicely and the bourbon flavors come through great. Overall this is a super tasty cocktail. The cream makes for an interesting mouth feel to the cocktail, but not unpleasant. The second recipe isn’t really all that interesting on its own, but the visual is pretty stunning. I took a spare bottle of vodka and added a bunch of black food coloring, yielding jet black vodka. Which, on a side note, you can also buy. Now you take a few ounces of orange juice and pour it in a glass. Add an ice cube or two. Then slowly, very slowly, pour two ounces of the vodka into the bowl of a spoon held just above the level of the OJ. The vodka will layer on top of the juice cleanly. Which leaves you with this. Enjoy the holiday, fellow drinkers! According to a recent article on Yahoo! Finance there are currently over 5 million barrels of whiskey aging in Kentucky alone. And, unlike other spirits industries, those barrels will be used for bourbon only one time. 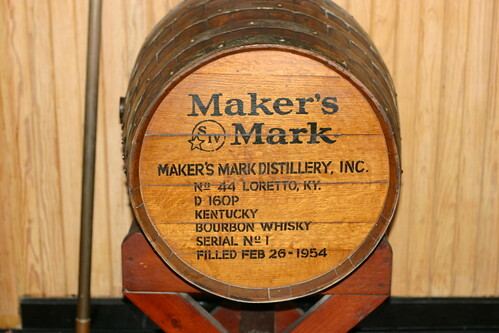 You see, per federal guidelines, to be called bourbon, whiskey must be aged in new charred oak barrels. So, that begs the question, where do all of those barrels go after they’ve aged delicious bourbon. Turns out they go all over the world and get used for all kinds of stuff. The one you’re likely already aware of is that they get sent to other distilleries to age other spirits. Scotch and rum are the two big users of bourbon barrels. But did you know that some bitters are aged in whiskey barrels? How about cocktails? Beer? Fish sauce? Yeah, me either. The folks over at Tasting Table followed a few barrels as they left Kentucky distilleries to see where they ended up. They have a great artcile and infographic showing what they found. Some of the uses sure surprised me. Everyone who enjoys cocktails, or rather, drinking in general, has dabbled in infusing spirits. Most stick with straightforward combos: mango vodka, strawberry tequila, vanilla rum, etc. The next step in that process is fat washing. Specifically you’re adding a flavorful fat to a spirit and the alcohol and water soluble flavors in the fat are pulled into the spirit. Once you’ve infused you remove the fat and you’re left with flavorful spirits. The first time I heard about this method was Don Lee’s Bacon Bourbon. Don used the infused bourbon to make PDT’s Bacon Old Fashioned. Seeing this I was inspired. I tried it myself and, I won’t say I failed, but I certainly didn’t succeed. What I ended up with was an under-flavored bourbon that tasted okay in an Old Fashioned, but really wasn’t any better than it would have been with unadulterated bourbon. And, what’s worse, I couldn’t find anything else to put it in. It met the drain shortly thereafter. With that, my homemade attempts at fat washing ended and I put savory infusions on the back burner and never really looked back. So, when a bottle of Bakon Vodka (it’s bacon flavored, in case you hadn’t figured that out) turned up on my doorstep, my brain was immediately filled with concoctions of bacon delightfulness. Think of the amazing bacon pairings people have been coming up with lately…bacon chocolate chip cookies (made them, they’re amazing), chocolate covered bacon (had it, also amazing), candied bacon (had it, amazing)…okay, this is getting repetitive. The common theme there though is the sugar component, and while I definitely wanted to try that avenue, you’ll have to come back later for those results. 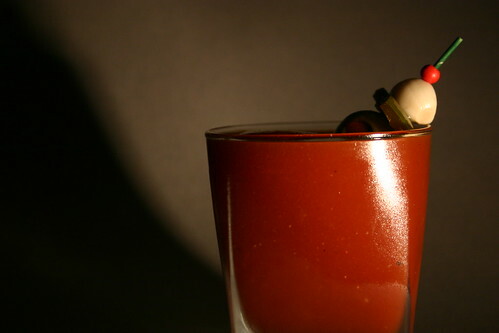 The first place I wanted to start was what seemed like the obvious use for this spirit, the Bakon Bloody Mary. But first, let’s talk about the vodka itself. Bakon Vodka has a distinctly bacony aroma. It’s not the kind of bacon flavor you might get when you cook up your Sunday breakfast, though. It was singularly porky. No maple, very light smoke, very. But, none the less definitely bacon. And, while the flavor is good, it’s not something I’d ever drink on its own. I think it’s the idea of it all that gets to me. Okay, let’s see how it mixes. I used my basic Bloody Mary recipe with one minor tweak. I wanted a hint of smokiness so I added a pinch of chipotle powder and cut down the hot sauce. The bacon comes through in the aroma quite clearly. In the flavor it’s much less intense, but still present. And, while it doesn’t added a super bacony punch, it adds a mellow, savory backbone to the cocktail that I really enjoy. As for the added chipotle it did its job perfectly. There was a light smokiness and just the right amount of spice. This is definitely a must try for the folks in your life who lie in the intersection of bacon lovers and Bloody Mary lovers. As for Bakon Vodka itself, I’ll give you this advice. It’s tasty stuff, when properly applied. Definitely don’t get this expecting to be able to use it in any vodka recipe. The results will not be pleasant. Though, when mixed in the right recipe the added complexity and savory quality, even in sweet drinks, is worth it.